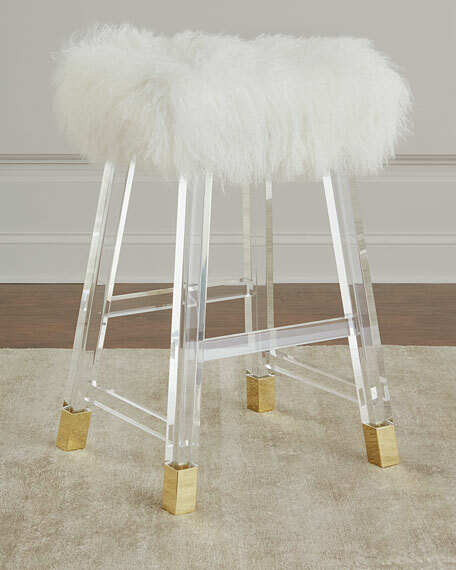 A cream long, curly sheepskin seat adds unbeatable pizzazz to this counter stool. Handcrafted counter stool with acrylic frame. Long, curly dyed sheepskin (China) seat. Metal ferrules with brass finish. 16"W x 12"D x 26"T.